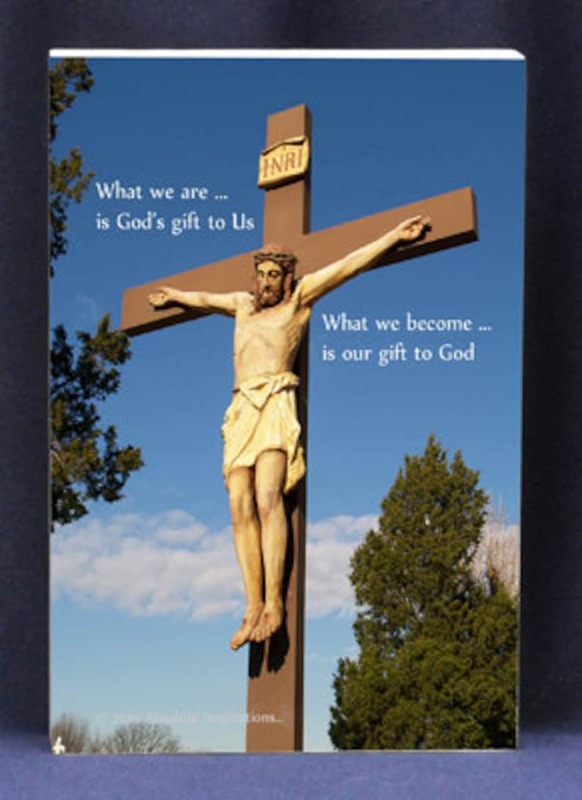 Religious gift plaque : What we are is Gods gift to us. What we become is our gift to God. Stunning digital photo of Christ on the cross and plaque all in one! The Inspirational Photo Block © is better than a greeting card and the gift that keeps on giving! We are happy to add a special note card to accompany your gift. Simply send us an email letting us know what message you would like us to add. We also ask that you please leave a good contact number in case we need to reach you!